Posted on October 7, 2014 . 4 Comments. 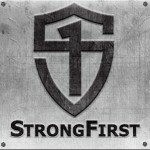 I was introduced to StrongFirst through my employer 5.11 Tactical. I will admit I was a bit stoked the night I was seated next to Pavel for dinner at the first meeting, as it offered the chance at casual conversation. I remembered Pavel from all the magazine coverage over the years advertising his strength programs for the military and athletes, and with having had personal paths in both realms, I relished the opportunity to chat. The first things that struck me were how genuine, considerate, and down to earth Pavel is, which is incredibly important for teachers/instructors of any discipline (shooting, running, etc.). He inquired about my current training goals and showed a real interest in helping me by dinner’s end, although that was not why he was there. We also discussed some political issues around at the time and I immediately realized how staunchly patriotic this “Crazy Russian” is about America (bonus points to a potential long-lasting friendship). Pavel and I parted ways that night with the invitation to reconnect in the near future at one of StrongFirst’s upcoming courses. In regards to my training, I have had a mixed bag of experiences at different levels from being an Olympic hopeful for Taekwondo in 1992 (the year it was temporarily cancelled from the program, unfortunately) to Marine Corps PT, heavy lifting programs, combative programs, and most recently as of May 2012, ultra-marathon running — in a weighted military-style plate carrier. Yes, I just said that. I have now completed two ultras (one 62 miles and the other 100 miles) running with an additional 23lbs of weight. 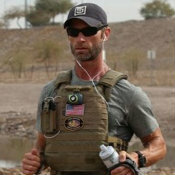 I have also done a 108lb ruck march in 20 hours covering 32.5 miles within the past year as well. I do these to support veteran charities through the Never Quit Mission. In the world of ultra-marathon training, you can ask ten people how to train for one and you will get ten different answers. And when you throw in the running with weight variable, there are no answers, but only questions, like “Why?” I know this because I have been fortunate through one of my colleagues to connect with some of the world’s most experienced ultra-runners who have run in the Badwater 135, one of the toughest events around. In talking with the veteran Badwater runners early on, not one of them really ever mentioned “strength training,” which I found ironic for a race that requires you to keep on your legs for 135 miles, and with hills! I am sure some form of resistance training has played a role in each of their running careers, but it didn’t come through in discussion. 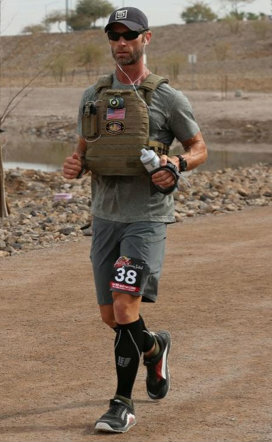 The opportunity to attend a StrongFirst Certification came about six weeks before I was to participate in an event called “Carry the Load” (where I did the 108lb ruck). 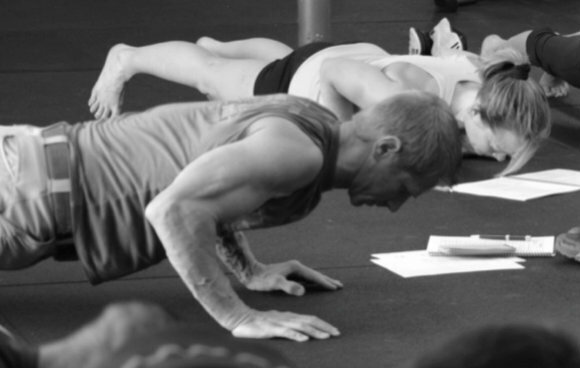 It was StrongFirst’s SFB Bodyweight Instructor Certification. I didn’t know what to expect, but having shifted a lot of my training over the years to more bodyweight exercises due to a lack of accessibility to traditional gym equipment, I was glad for the opportunity to learn, and also to get some real training time with Pavel. The morning I arrived at the host gym in Tucson, Pavel was all smiles, as I noticed he was throughout the day with everyone. He was also patient and very accommodating in introducing me to some of his instructors and students, which made me feel welcomed. Over the course of the next two days I saw feats of “real strength” from male and female, both young and, well, older. I’m 39, so I tread lightly here. From one-handed push-ups, strict pull-ups, flags, one-legged squats, handstand push-ups, and sometimes combinations of the aforementioned, it was just astounding. The truly amazing thing, though, were the people who were not able to do these things the morning of day one, but were doing them by end of day two. The secret? Years of dedication, research, and “taking it to the lab” on StrongFirst’s behalf, to be able to articulate and translate proven principles of strength techniques within two days. Me, practicing tension during the Certification. StrongFirst’s approach to teaching strength principles breaks it down Barney-style to even rocks like myself, and links technique to technique upon a building-block system interspersed with practical examples and exercises along the way. You literally “FEEL YOURSELF GETTING STRONGER DURING THE COURSE.” Mind blowing. Hollowing out is the engagement of your core muscles and muscles of your glutes and is taught as a foundational part of all techniques. This grabbed my attention as it was one of the first times I ever felt my hips pull underneath me properly, something I had been working on since attending a running form clinic, but just kept missing. The dominanta is less tangible, but can be learned, and is more of a mental exercise in the recruitment of all of your muscles into one primary focus of strength. But once you have it, you have it. But equally if you lose it during a feat of strength, well, good luck. Upon departing the StrongFirst Bodyweight Cert, I could not wait to sit down and program out my workouts, incorporating the principles learned (which also extend to weighted strength feats) for the next weeks building up to the Carry the Load event. Fine article Nate..thank you! Great working and talking with you at the Tuscon Bodyweight Cert! Very insightful! Bill nailed it with the principles. Practiced principles prepare for success! My take home was ” … no BS “wisdom” when Pavel said to me in a one-on-one conversation, “Nate, stop making every workout like you are training for selection.” (Military special operations selection.) Boom! The hammer had been dropped.” Thanks for the reminder. Another good read, thank you. Don’t know if you’ve heard about this guy, here in the uk…..Tony the Fridge who did the London marathon twice in one day with a 42kg (6.6st) Smeg fridge strapped to his back. He had planned to do 4 marathons in a day but had a dose of sunstroke, vomited and had to pull up. Big sissy!